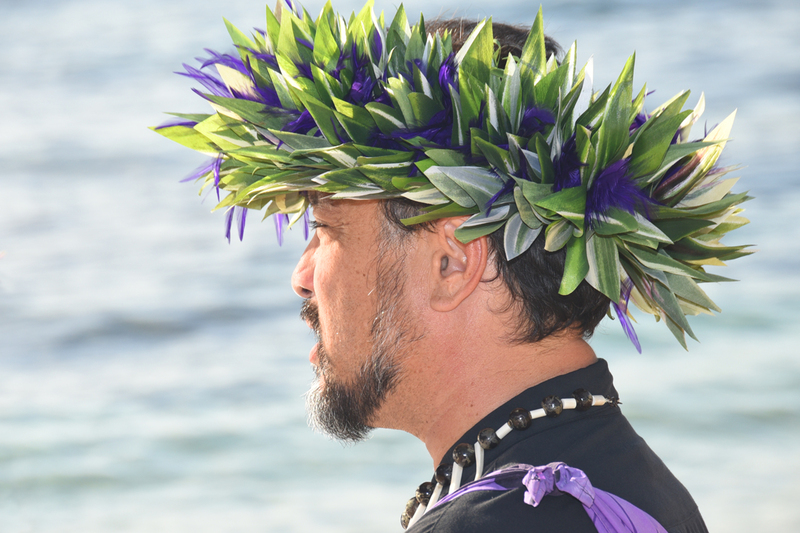 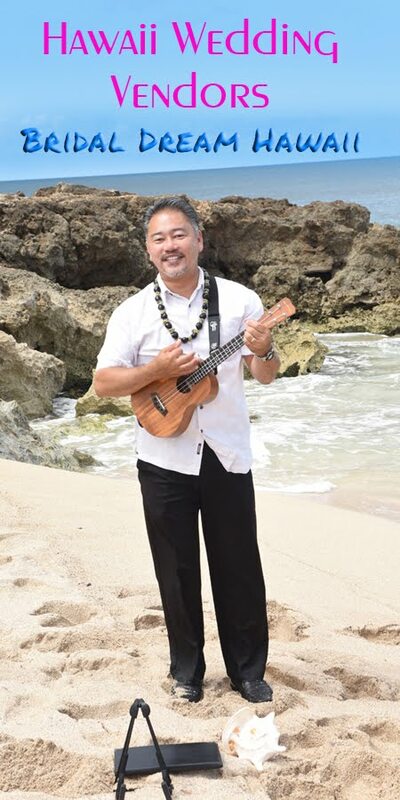 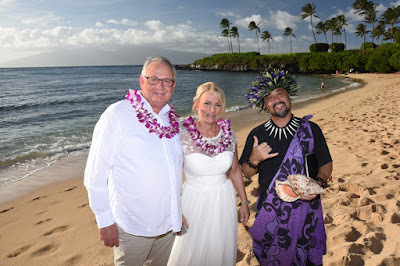 Rev Kimo blows the conch shell at a Maui Wedding. 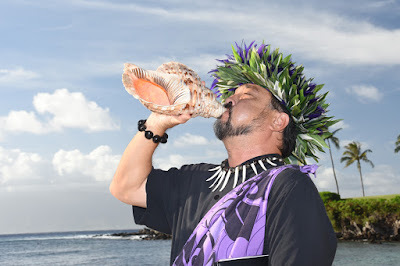 Minister in Hawaiian is called "KAHU". 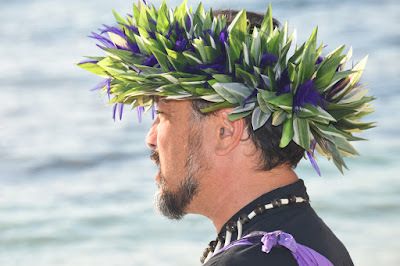 We have an Oahu Kimo and a Maui Kimo.